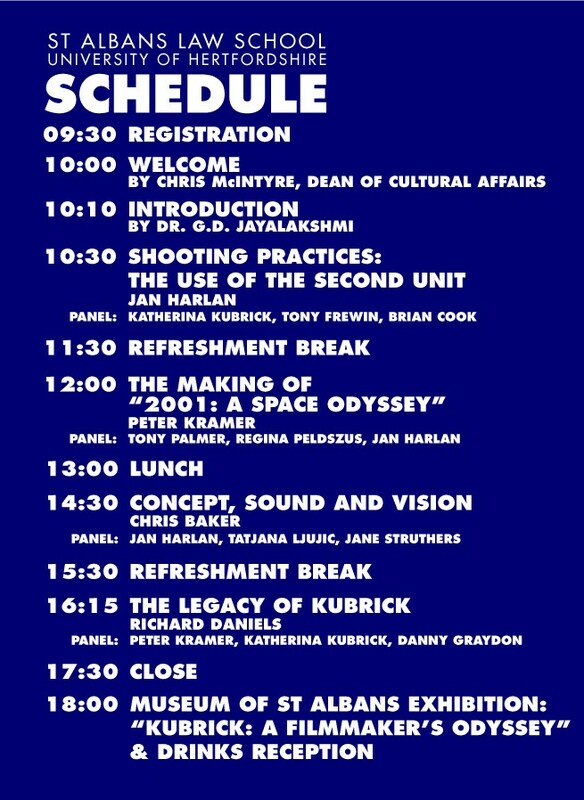 Next Friday, I will be taking part in the “Kubrick Visions” Symposium, hosted by University of Hertfordshire’s School of Creative Arts and The St. Albans Museum. A rightful celebration and exploration of Hertfordshire’s most distinguished cinematic alumni – he lived in picturesque Childwickbury, just outside St.Albans for nearly 40 years – the symposium, fully supported by The Kubrick Estate, complements the newly-curated exhibition of Stanley Kubrick’s Archives that’s currently running at St.Albans museum and which features never-before-seen material provided by his close collaborators. The symposium does offer a particularly intriguing hook, as Kim Walden, of UH’s School of Creative Arts, explains: “Whilst this archive provides a wonderful repository of artefacts, in recent years we have become aware that there are numerous people in and around the region who collaborated with Kubrick including producers, designers, camera assistants, editors and actresses whose stories and experiences of working with Kubrick have not yet been told. I’m very much looking forward to this: I’m a huge Kubrick fan and it’ll be a honour (and somewhat nerve-wracking) to discuss his work alongside such esteemed company. If anyone fancies attending what promises to be a highly informative day, please contact Mita Lad at UH for tickets on 01707 285327. The price for the whole day is £35 (with concessions for students). Excellent day. All round informative and plenty of insights. Best regards from the 4 front row attendees! !